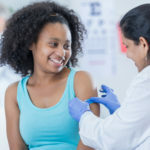 Physicians initially rely on detailed questionnaires that have been filled out by parents and teachers, and then personally observe the child’s behavior. ADHD is usually diagnosed after a parent or teacher notices its symptoms and refers the child to a doctor. Although these behaviors are more frequent and severe in ADHD, most children without ADHD also exhibit these behaviors at some time, and your child’s physician should first rule out normal development, behaviors consistent with a bored or gifted child, as well as conditions that can cause or mimic ADHD-like symptoms, including seizures, middle ear infections, anxiety, depression, major life changes or stress, and learning disabilities. ADHD is best diagnosed by a specialist, such as a child psychiatrist or psychologist, developmental/behavioral pediatrician, or behavioral neurologist, who will create a behavior profile of the child based on his or her symptoms. For a formal diagnosis, the behaviors must have lasted at least 6 months and affect at least two areas of a child’s life, such as school, friends, and family. In adults, the symptoms must have started in childhood and been persistent and ongoing. The exact causes of ADHD are still unclear, but the disorder appears to involve changes in neurotransmitters, or chemicals, that stimulate the areas of the brain that control attention. ADHD may run in families: Studies show that 25 percent of close relatives of children with ADHD also have the condition. Some researchers have also linked ADHD to environmental toxins and smoking during pregnancy, but more studies are needed to confirm such causal links. What are the conventional treatments? Conventional treatment for ADHD typically involves multiple approaches, including medication and family and individual counseling. Medications: Most drugs used to treat ADHD belong to a class of medications called stimulants, which regulate neurotransmitters to increase concentration and attention and decrease impulsiveness and hyperactivity. Common stimulants include methylphenidate (Ritalin, Concerta), dextroamphetamine/amphetamine (Adderall), and dextroamphetamine (Dexedrine). A newer medication called atomoxetine (Strattera) isn’t technically a stimulant, but it resembles one in its therapeutic action. Conventional doctors may also treat ADHD with antidepressants, which also affect neurotransmitters. These drugs are not benign, and medications for ADHD can cause side effects such as decreased appetite, headaches, insomnia, increased anxiety, irritability, and stomachaches, especially in higher doses. Some reports have linked Stattera to jaundice and depression. Adderall has been linked to unexplained deaths in children and shouldn’t be taken by people with existing heart abnormalities. Therapy: Behavioral counseling, which helps children and adults learn how to cope with symptoms and manage their lives, is often recommended to treat ADHD. Family counseling can help family members learn more about ADHD and how to better deal with a child, sibling, or adult relative with the condition. 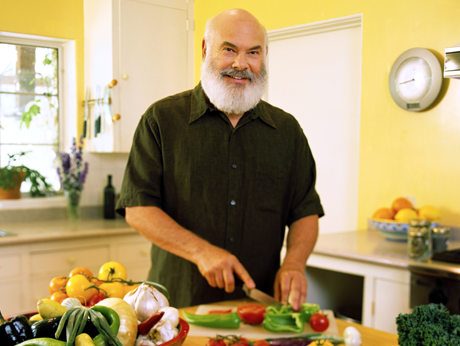 What therapies does Dr. Weil recommend for ADHD? Take a supplement that contains omega-3 fatty acids. These essential fats are critical for normal, healthy brain development and evidence suggests they may be present in lower levels in people with ADHD. Consider food sensitivities. While there’s no evidence that a dietary approach helps in all cases, a 1993 Cornell University study found that eliminating dairy products, wheat, corn, yeast, soy, citrus, eggs, chocolate, peanuts, artificial colors and preservatives seemed to decrease ADHD symptoms. An even earlier study showed that a low-allergen diet supplemented with calcium, magnesium, zinc and vitamins produced favorable results. Make sure that basic nutrition is sound. Starting the day with high-sugar or highly processed foods can lead to hypoglycemia in mid-morning and ADHD type behavior. Check the levels of ferritin (iron), zinc, and magnesium. Deficiencies of all of these have been shown in some studies to worsen ADHD symptoms. Explore Neurofeedback.. This technique helps people learn to control their own brain waves and can teach people with ADHD how to improve their brain wave patterns. Exercise: Working out on a regular basis has a natural calming effect; it also raises levels of norepinephrine and dopamine, which facilitates the ability to focus attention. 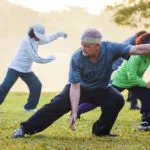 Martial arts including tai chi and karate can improve self-discipline, boost concentration and slow the restless cascade of intrusive thoughts. Meditation: Mindfulness meditation refers to the various forms of practice that involve focusing on body sensations, especially breathing. A preliminary study at UCLA trained participants in meditation, and required them to conduct mindful sitting and walking sessions over eight weeks. Result; cognitive tests revealed participants had increased ability to focus even when other stimuli were competing for their attention. Make sure your child is getting the appropriate accommodations at school. Sometimes relatively simple school interventions can make a big difference. Employ consistent and positive behavior management at home. Children with ADHD are often subject to almost constant ongoing criticism. Focus on what they do well, not just the areas of difficulty. For a comprehensive guide, see ADHD Without Drugs by integrative pediatrician Sanford Newmark, M.D. Dr. Weil strongly recommends the book to all parents, relatives, and friends of children with ADHD. A New Approach To Parkinson's? A Safe Vaccine For Meningitis? 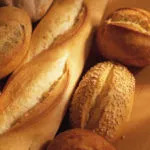 A Vaccine for Celiac Disease?